Mishti Doi is synonymous with Bengal in East India. The Bengalis are famous for their sweet preparations and Mishti Doi is among their most well-known desserts. Mishti Doi tastes great but is amazingly simple to make! Boil the milk in a heavy-bottomed pan, on a medium flame until it is reduced to half its original volume. Stir frequently to prevent the milk from scorching. When done, cool the milk till it is just lukewarm. Put the sugar in another pan and heat over a low flame to melt. Allow the sugar to caramelize (brown). Remove from the fire when done, add the reduced milk to this caramelized sugar and mix well to blend. When the milk and sugar are thoroughly mixed, add the yogurt to the mixture and stir gently to mix. Pour into the desired container and keep in a warm dark spot for the Mishti Doi to set. 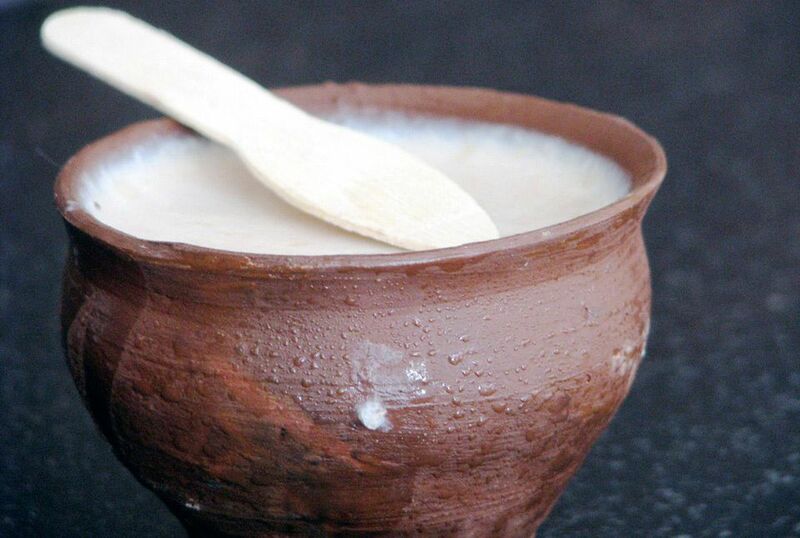 The best taste results are achieved by setting the Mishti Doi in an earthenware pot. When the Mishti Doi has set and is firm, chill for a few hours and serve.